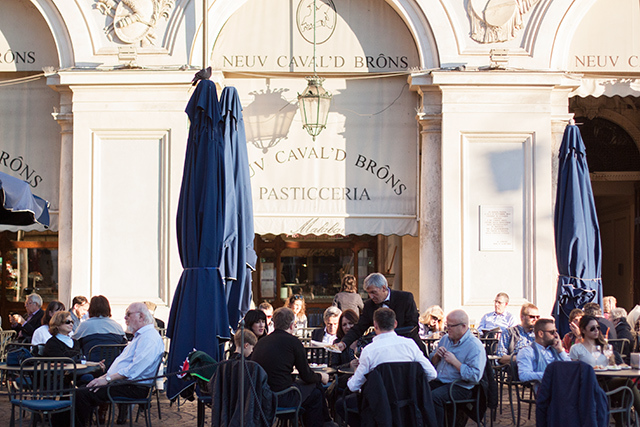 We just spent a glorious weekend in Turin with really one agenda: eating and drinking. 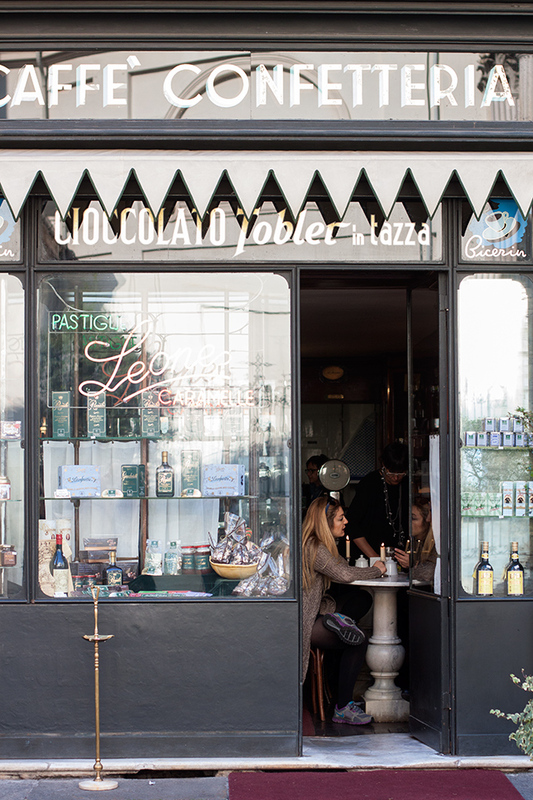 While Turin is known for it’s lovely museums and being the birthplace of Italian cinema, it’s rather hard to ignore the fact that the city also claims gianduja (luscious hazelnut chocolate) and vermouth (the ideal aperitivo, on the rocks with a maraschino cherry, old school like) amongst its specialties. When I asked food loving friends who know the city well for some suggestions I was given so many names and address and tips that it literally became a five page document. 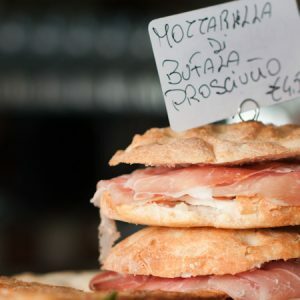 Narrowing down the list to just a handful was overwhelmingly difficult — I even tried to squeeze several aperitivo spots in one evening and likewise for coffee spots in the morning and afternoon — but in the end, as what usually happens when traveling with a little one in tow, I had to slow right down. The agnolotti in a sauce of roasting juices (and everything else we ate) at Antiche Sere. The wine list at Ristorante Consorzio. Dipping paste di meliga (polenta cookies) into warm zabaglione at the end of a meal. A bicerin with this grilled chocolate sandwich — seriously. It’s a specialty. The house-made vermouth with a tramezzino at Caffe’ Mulassano. The cobblestones, the liberty facades and old-school trams. 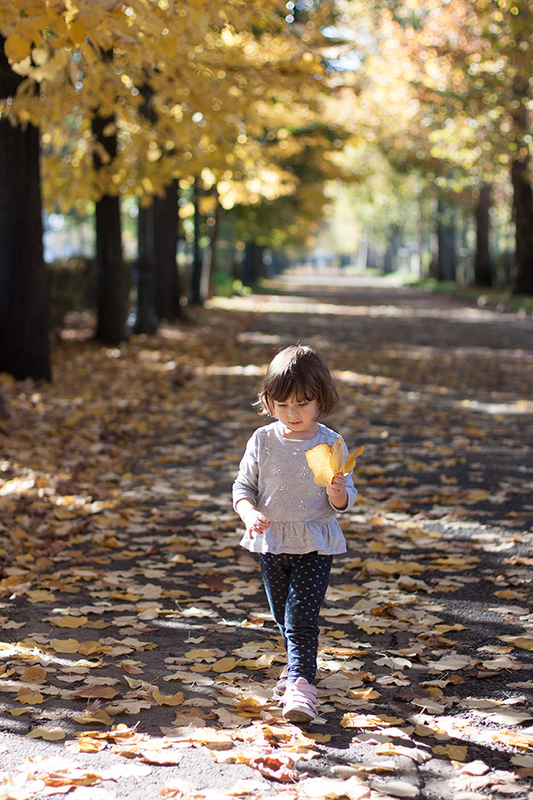 Collecting fallen leaves and squirrel-spotting at Parco Valentino (the little one’s favourite). If you read Italian, you can see my full article and more photographs here for Corriere della Sera. Thanks to Michael (ex Torino resident) from Ombretta Restaurant, Turinmamma for child-friendly suggestions, Un Tocco di Zenzero, The Chef is on the Table and my amazing airbnb host, Cristina, amongst other wonderful friends for their much-appreciated input! oh my gosh Emiko, this looks absolutely amazing! 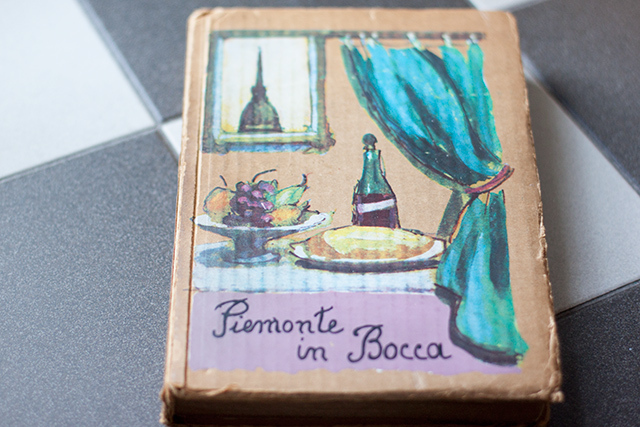 I was closely following your Turin foodie pics and I love them all. I will definitely need to visit soon, I have always been intrigued by these northern towns. Well worth a visit, I think you guys would love it! 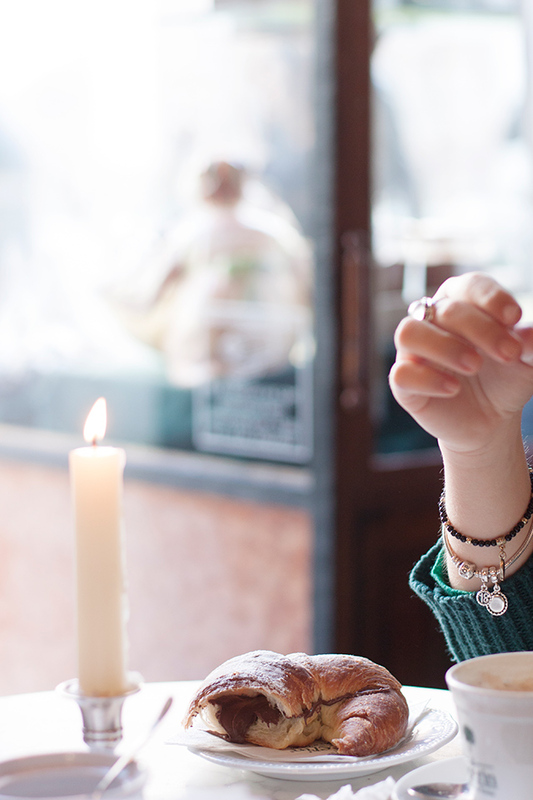 I think cold weather suits too since then you have a good excuse for ducking into these beautiful, rather cosy cafes for a hot chocolate, a bicerin or a vermouth! I will definitely add it to my list for next visit! Grilled chocolate sandwich?!?? We have been debating a Turin trip and that just sold it. Lovely photos! I would totally go back just for that! But also to try all the things I didn’t get to on this quick weekend away (the balon flea market being another thing I didn’t end up having time for that I wish I had had!). Oh what glorious captures of Turin in fall! 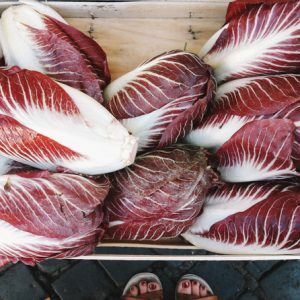 We fell in love with the city on a first visit four years ago when we stumbled upon Porta Palazzo & couldn’t believe the abundance of Piemontese produce. And we returned this summer for a night of wandering thru the city in the summer heat. There’s so much more to explore but like so many great places with a lot to offer, you can’t really go wrong with each visit, you just have to keep going back for more! another idea of we ! thank you Emiko ! Haha, it should be a really quick/easy trip? We drove through Genova both ways and I think it was a two hour drive. Train should be a breeze for a weekend trip! 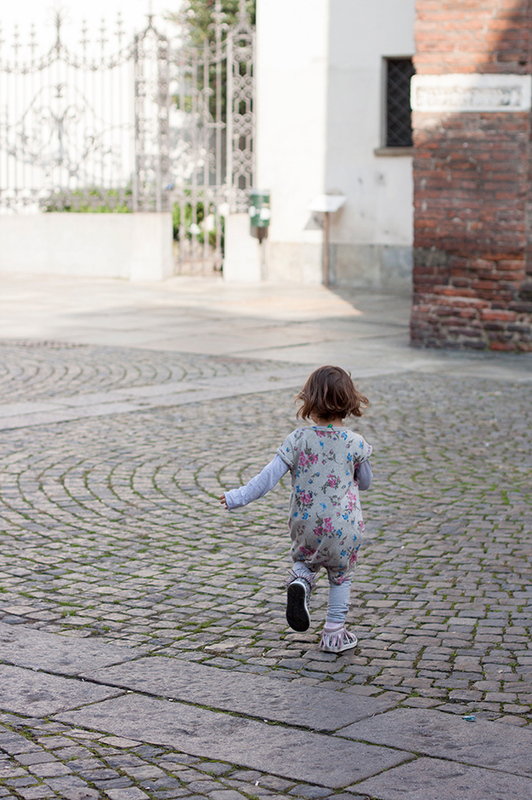 I’ve so happily been following your blog for over a year, and it is definitely one of the things that inspired me to come to Italy to work as an au pair. 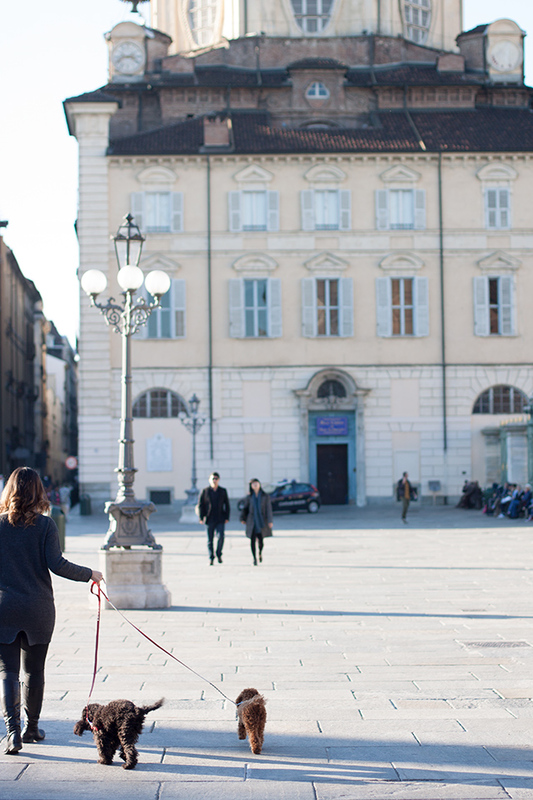 I’m in Alba but was able to take a trip to Torino last week – so overwhelmed by its old and royal beauty, and all the historic caffès and aperitivo spots that I ended up spending 90% of my time just wandering (don’t regret it). But I’m heading back to the city for another day trip, and I am so grateful to have your advice as a guide for food and libations not to miss. Beautiful shots, as always. Wow, thanks for so much for your comment. Alba must be so beautiful too, we visited Le Langhe twice but never made it to Alba (next time, I keep saying!). Luckily you can do day trips to Torino easily and I’m hoping that this little list will help people who only have a short time like we did! 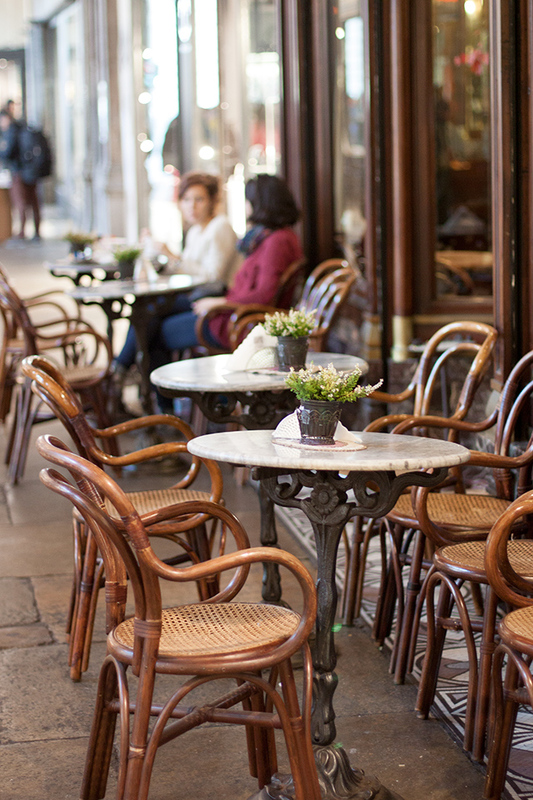 I haven’t yet been to the Caffè Mulassano–and will definitely stop by there soon. 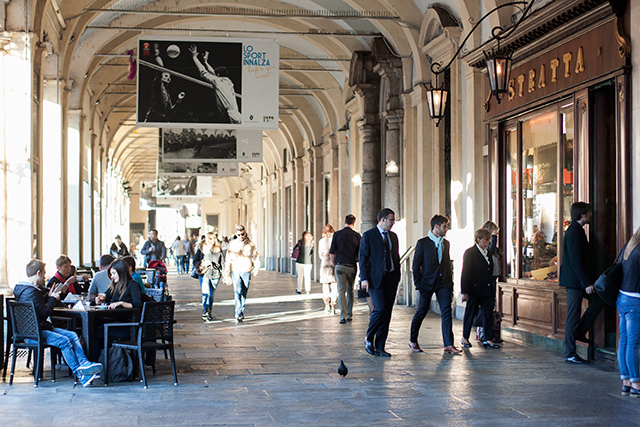 Turin is so full of beautiful streets and great stops. I love discovering new places! I absolutely loved it! Their vermouth is so delicious but if you happen to like herby notes, try their “Mulassano” aperitivo which is a slightly stronger (secret recipe) liqueur that they serve ‘shakerato’. 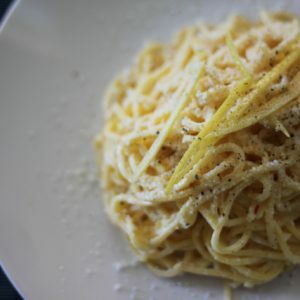 Add a pillowy-soft tramezzino and it’s pretty much a perfect treat of an aperitivo! Stunning photos of my adopted city but then again, I never doubted that you’d do an amazing job at capturing those special moments and details here. I particularly like those photos of the croissant and the glass. So glad you made it to Le Antiche Sere. My favourite place for a traditional Piedmontese meal in Turin. Yet to try out Consorzio but have heard good things about it too. So glad to have been of help while you were in town and wishing you the very best for your book launch back home next year. Thank you, thank you Rosemarie. I was torn between the chocolate toast and the gianduia croissant so I snuck a photo of the girl next to me and her croissant! Next time that will be mine. 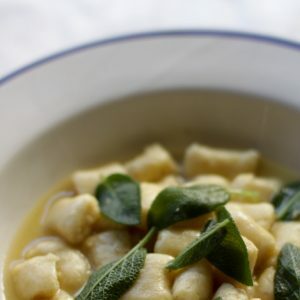 Antiche Sere was our absolute favourite food stop of the weekend – those agnolotti! Thank you! We are headed there this weekend. I am calling Antiche Sere for a reservation as soon as I finish this comment. Thanks, I hope you enjoyed it as much as we did!